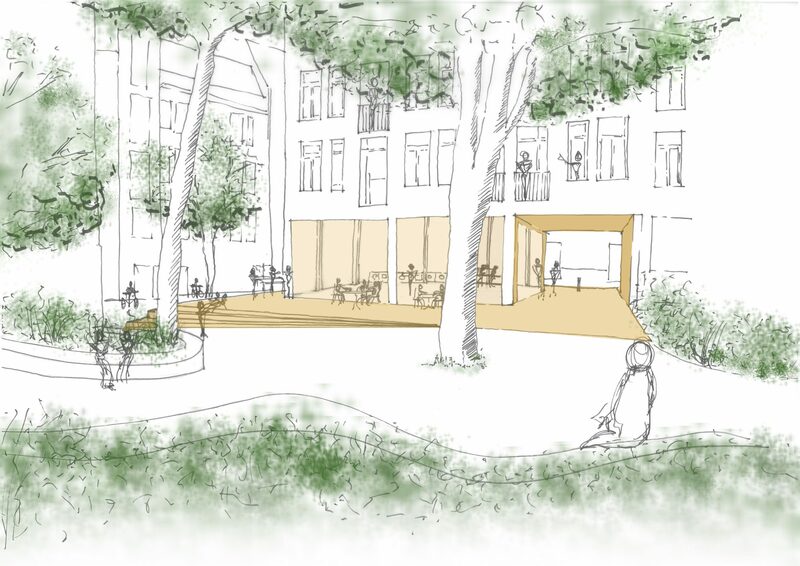 The student accommodation on the Prins Hendrikkade in Amsterdam will be extended substantially and Bureau B+B is designing the coming courtyard. It will be a green oasis with a meeting terrace surrounding the laundry facilities. On the Foeliestraat a new entrance will be created, with plenty of room for bike parking.